The Elantra was Hyundai’s first take at the premium mid-size segment. It was introduced in the early part of the last decade following which it made a comeback in the Fluidic theme. Even that didn’t help the Elantra. However, the recent facelift has done wonders for the vehicle. Since the facelift, the vehicle has been selling in good numbers, even beating the Corolla on a few occasions. The new Elantra is stylish to look at and is very well equipped. Engine options are either a 2.0 liter naturally aspirated petrol unit or a 1.6 liter diesel engine from the Verna. The Endeavor has been Ford’s flagship SUV in India for a while now. While the previous generation was not very successful, the new one has been doing very well since it was launched. It even beat the Fortuner, something that no other SUV has managed till date. The Endeavor can be had with either a 2.2 or a 3.2 liter diesel engine. With the current revision, the Endeavor can only be had with an automatic transmission and no petrol engine option. While the Verna was a replacement for the Accent in the global market, Hyundai decided to keep both the vehicles, hence the arrival of the Verna nameplate. When it was first introduced, the Verna wasn’t really successful. Then came the Verna Transform, which didn’t do well either. It was only after the coming of the Fluidic Verna did Hyundai see success with the Verna nameplate. The Verna offered a lot in terms of performance and features, even a few segment firsts that took the Honda City by surprise. For a few months, the Verna and City gave the companies sleepless nights. It is only now that the Verna has started showing its age. However, an all-new one is expected sometime next month. The i20 has always been a cool hatchback. When it was introduced, it caught the attention of many youngsters, by offering segment first features like a sunroof, 6 airbags, disc brakes all-around and much more. While the i20 was doing decent numbers, it is only after the coming of the Elite did the sales sky rocket. The vehicle is now selling close to 10,000 units every month, which is close to double of what the previous generation vehicle was selling. It can be had with either a 1.2 liter petrol, 1.4 liter petrol (only AT) or a 1.4 liter diesel engine option. The Camry has been the longest selling luxury sedan in the country. The company has never discontinued the model line, even when Honda and VW discontinued their respective luxury sedans. While the Camry was never a segment leader, the coming of the hybrid Camry changed that. The Camry hybrid is now leading this segment while its only hybrid rival, the Accord is barely managing single digit units. The hybrid is built as a CKD, which means the pricing is very competitive and the fact that it has reclining rear seats makes it the best vehicle to sit at the back in. The Tucson is another name plate which has recently made a come back. While the vehicle was never a huge hit when it was there in the market previously, it is now selling close to a 100 units a month, which is higher than the CR-V. The Tucson comes in both petrol and diesel guise, however it is only on offer with a 2wd system. The car is well equipped and has a powerful 2.0 liter diesel engine which does make this a quick SUV. The Ciaz was introduced to replace the aging SX-4, a vehicle that could never set the sales charts on fire. Even after the Ciaz was introduced, it struggled to give the Honda City stiff competition. It was only after the coming of the mild-hybrid SHVS variant did the Ciaz become massively popular. There has been no looking back since and the vehicle has even been outselling the Honda City on a number of occasions. 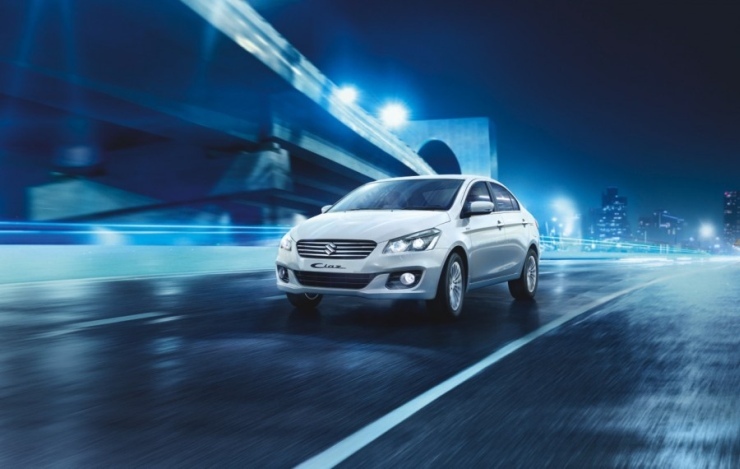 The Ciaz can be had with either a 1.4 liter petrol engine or the 1.3 liter diesel engine. « Hyundai i20-based Stonic Kia’s first SUV for India?